The 2016 Landbird Conservation Plan assigned 86 species to the “PIF Watch List”— these are the species of highest conservation concern at the continental (range-wide) scale. Some of these species are already recognized as federally threatened or endangered in the U.S. and Canada. The Watch List fosters proactive conservation that will help recover populations of the most at-risk species and keep the remaining species from becoming endangered. Download the Watch List Species table. 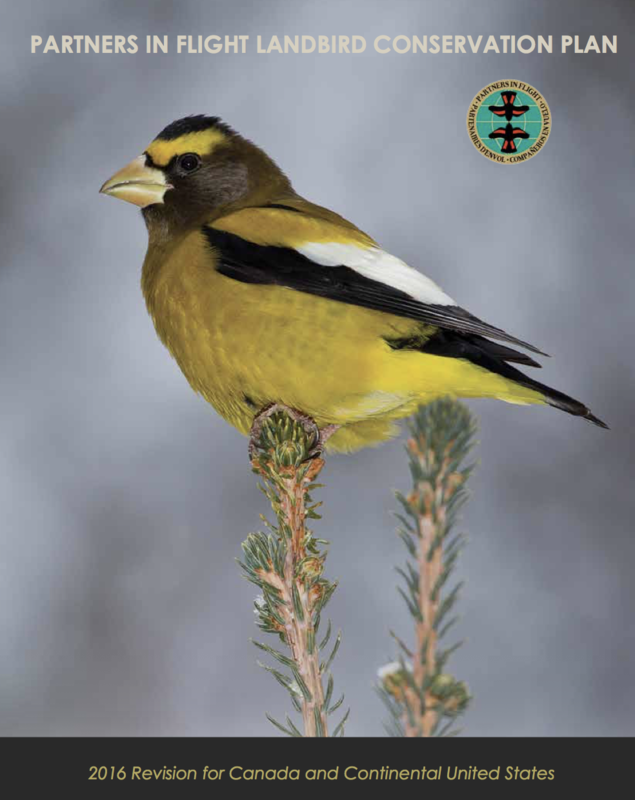 For definitions and methodology, download the Landbird Conservation Plan. PIF’s population goal for these 19 species of highest concern is to RECOVER populations well above current levels. These species have relatively high scores for all Vulnerability factors (illustrated by the red bars in the adjacent figure, presented in the same order as the columns in Table 1). They have restricted distributions and small, declining populations. Most face elevated threats and also are habitat specialists, requiring focused management for particular habitat conditions. Several are threatened by rapidly changing climate–Saltmarsh Sparrow from sea-level rise, Black and Brown-capped Rosy-finches from loss of alpine snowfields. Increased support is necessary to successfully recover these species and prevent additional listings. More targeted monitoring is needed to clarify urgency and evaluate actions. and small populations (red) with moderate threats (orange) and stable or increasing trends (yellow). It is critical that the already high vulnerability of these species due to ecological specialization is not increased by existing threats or unpredictable events. If populations of these species begin to decline, they will become the next Red Watch List species. These species also need improved monitoring due to high uncertainty in population trend. This group includes numerous species of aridland habitats in the southwestern U.S. as well as several marsh or grassland specialists. These 55 species have declining populations (“D”) and thus PIF’s goal is to REVERSE these DECLINES. This group has high population trend scores (red), and moderate to high threats as well as moderate population sizes (orange) but low vulnerability scores for range (yellow). Many of these species have lost 50%-90% of their population in the past 40 years, declines that are representative of deteriorating conditions in virtually every terrestrial habitat and region. 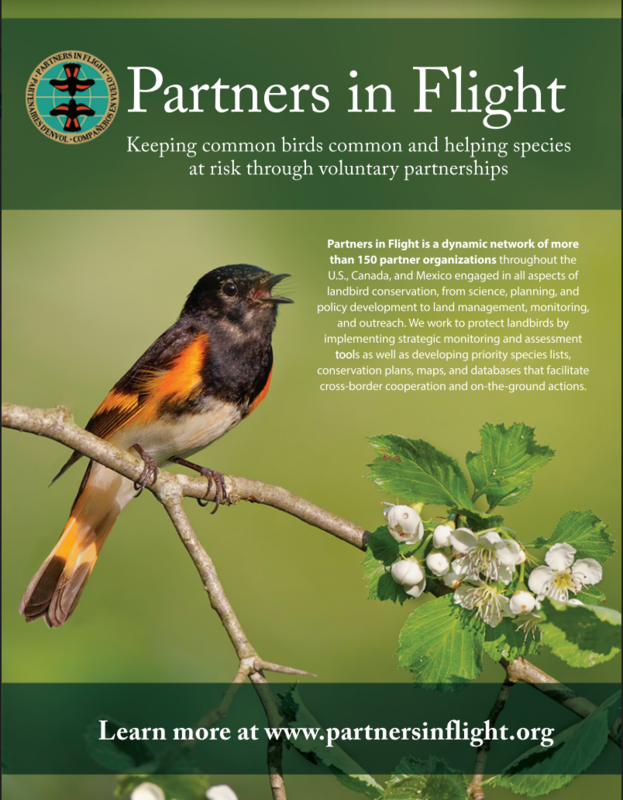 PIF’s goal for these species is to stabilize populations in the short-term and then reclaim a portion of their populations within 30 years, to bring them to safer levels and avoid special protection measures. Best management practices need to be developed and implemented to maintain the diversity of habitats and successional stages needed by these species. population or AI = 5). text indicates HIGH urgency (i.e., half-life 40 years around the half-life estimate. Percentage change in regional population over the past 44 years (1970-2014).